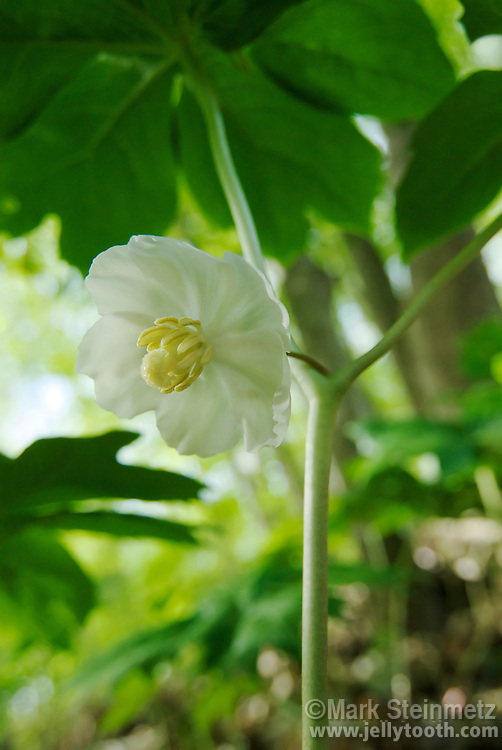 Mayapple (Podophyllum peltatum) in bloom. Despite its common name, it is the flower that blooms around the month of May. The fruit appears a month or two later. Only plants with twin leaves will flower at the fork of the stem. This species is native to eastern North American woodlands. Ohio, USA.